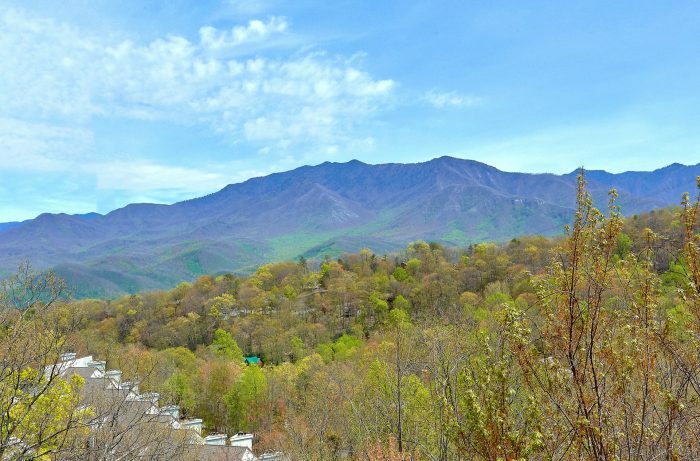 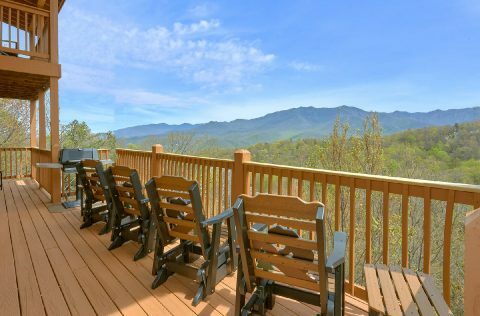 Resting high on a beautiful ridge in the Smoky Mountains, "A Spectacular View To Remember" is an incredible Gatlinburg cabin that provides guests with an unbeatable vacation experience. 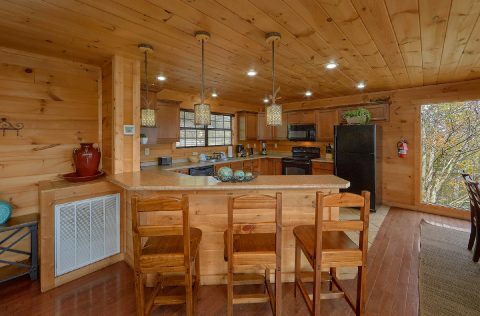 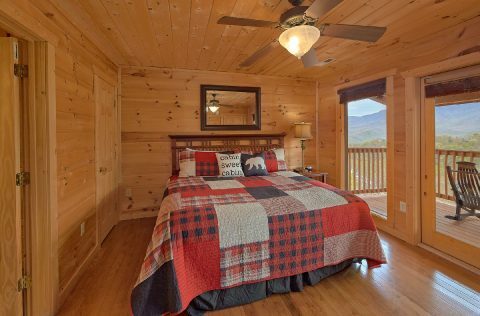 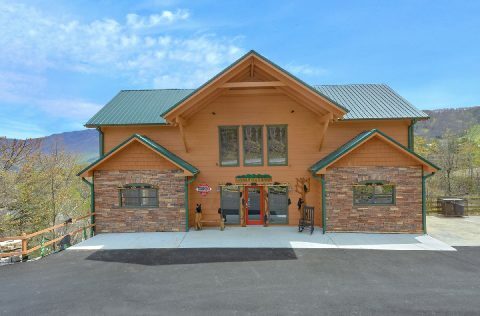 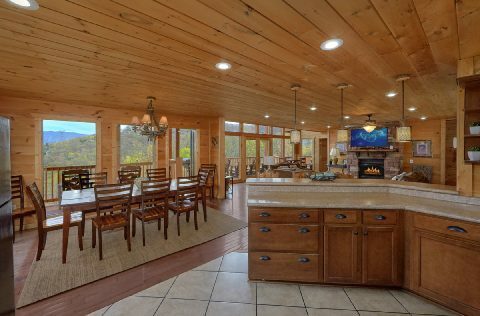 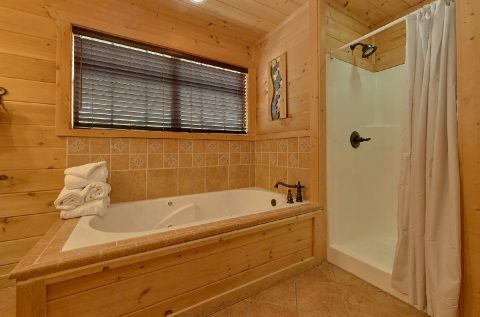 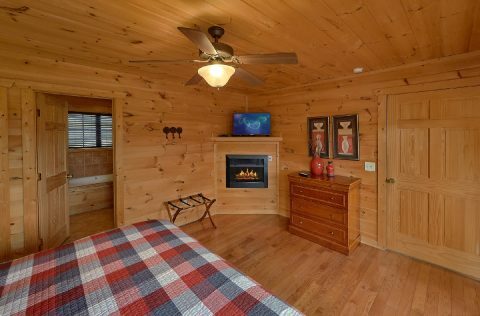 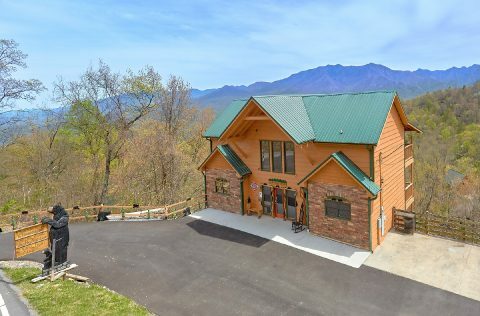 From the mountain view that lets you see for miles and miles to this cabin's convenient location only 3 miles away from Downtown Gatlinburg, this luxury 5-bedroom cabin truly has it all. 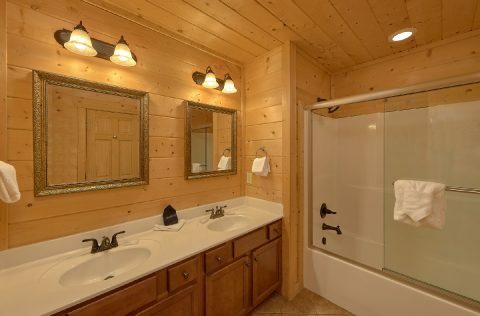 Enter into the main level of your premium cabin in Chalet Village only a short drive from Ober Ski Mountain. 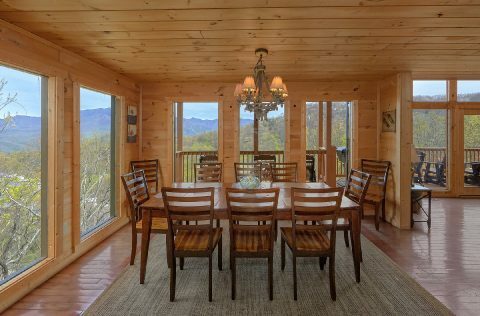 You'll love the jaw-dropping views that you can see through this rental's elegant picture windows. 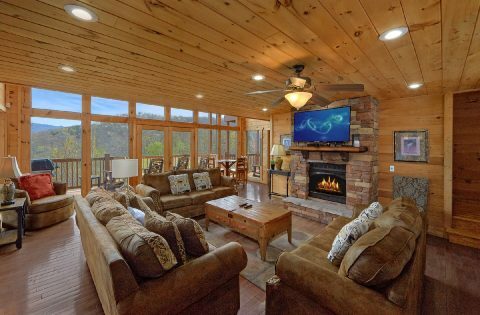 The living area is a comfortable space that features a gas fireplace, 50" TV, and comfortable furnishings for cozy evenings by the fire. 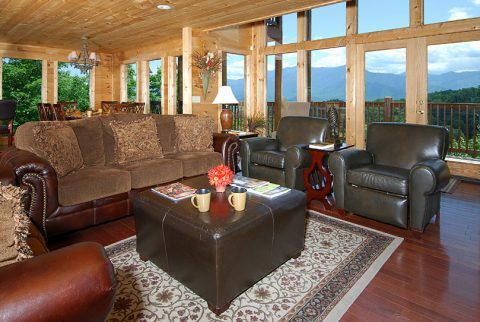 Just outside of the living area, you can step out onto the deck to feel the pure mountain breeze and admire views of Mt. LeConte and the Ober Tram in the distance. 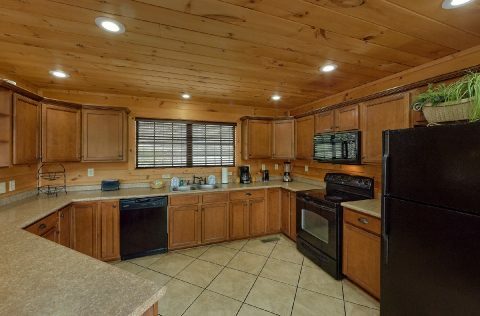 With the cabin's fully equipped kitchen, guests have the option of cooking tasty dinners in the comfort of their rental to enjoy around the table with seating for 8. 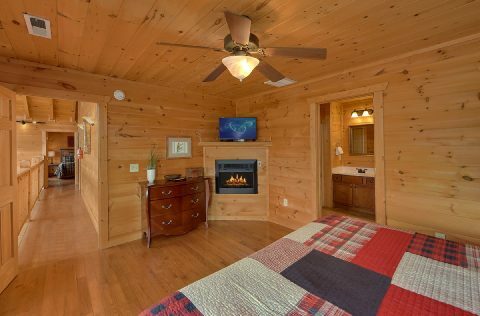 Additionally, there's a king-size bedroom on this level that's perfect for romance. 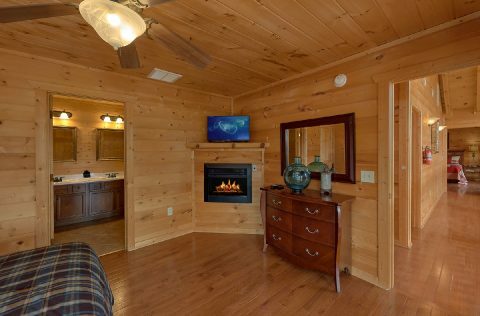 With a private television, gas fireplace, and a full bath with a jetted tub, you'll love relaxing in this luxurious space. 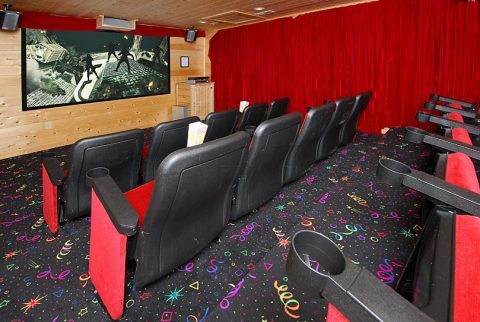 For a quality movie theater experience, head upstairs to your cabin's premium home theater room that features a 9 FT screen, surround sound, and stadium style theater seats for 15 guests. 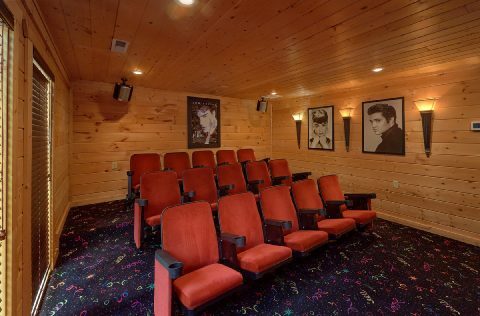 Make some buttery popcorn, grab a soda, and sit back with your friends and family to watch a classic film or an exciting new action movie. 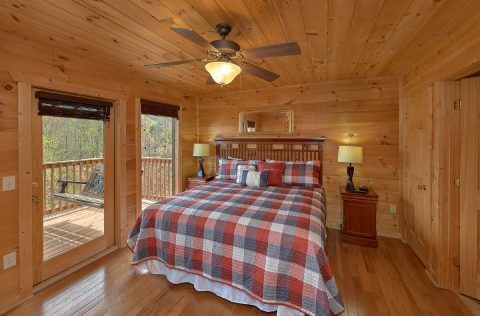 There are also 2 king-size bedrooms upstairs that each feature king beds, private televisions, full baths, and access to a small upper-level deck. 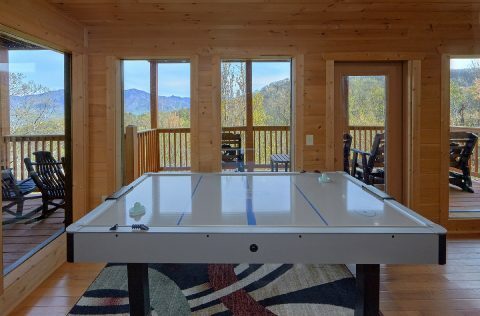 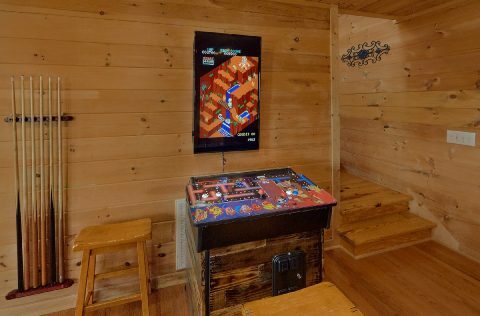 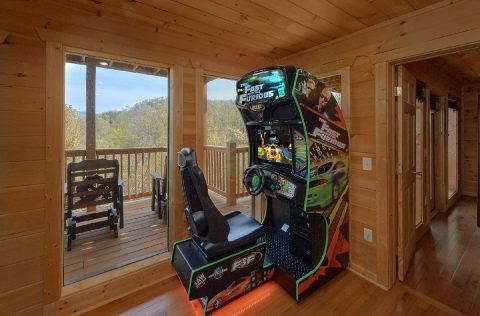 Find even more in-cabin entertainment in this 5-star rental's game room complete with air hockey, pool table, and a stand-up arcade game. 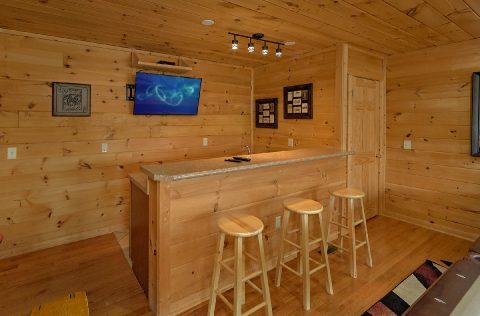 For your comfort and convenience, this level features a television, mini-fridge, microwave, and a wet bar. 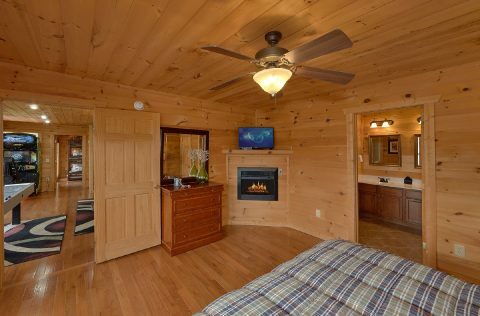 There are two more king-size bedrooms on this level that each offer a gas fireplace, a television, full bath, and access to a lower deck with a hot tub and porch rockers. 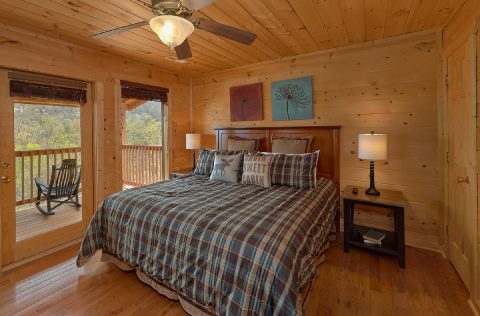 Altogether, this luxury cabin sleeps 10 guests. 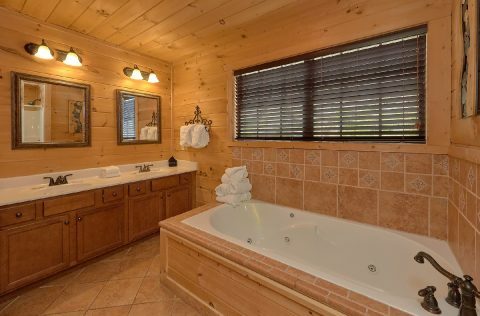 On top of all these great features, this cabin also gives guests access to Chalet Village Resort facilities including several seasonal swimming pools and resort game areas. 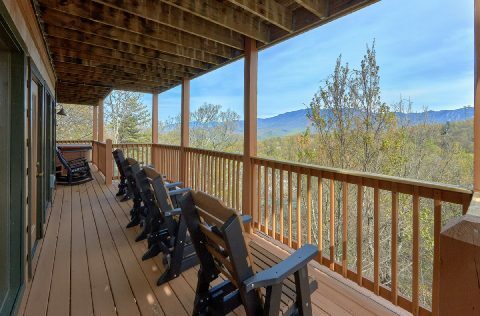 "A Spectacular View to Remember" is located close to another beautiful cabin called "A View From Above." 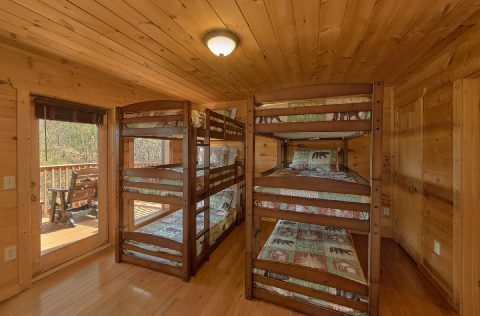 If you'd like to book more than one cabin for your trip, please contact our reservations office to start planning your multi-cabin vacation! 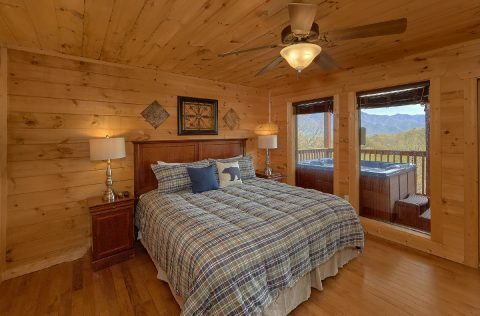 Book your luxury, 3,700 SQ FT, 5-bedroom log cabin in Gatlinburg to see "A Spectacular View to Remember," for yourself! 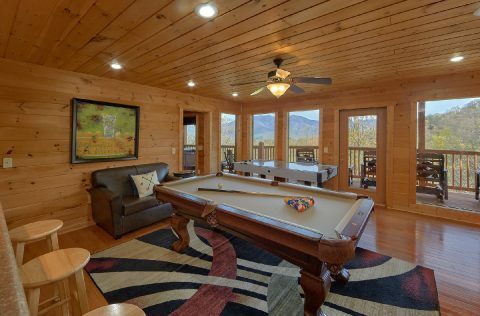 You won't regret reserving this rental with so many awesome amenities and features to make your vacation truly special. 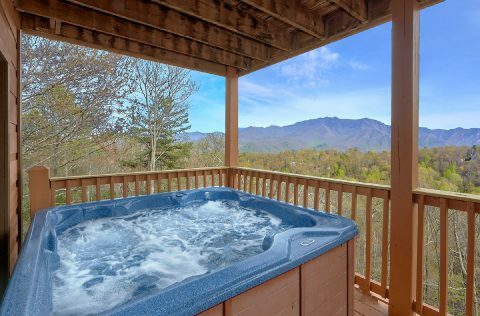 Get together with your family and friends at this premium Gatlinburg cabin with a view close to town and save 15% with our special discount!